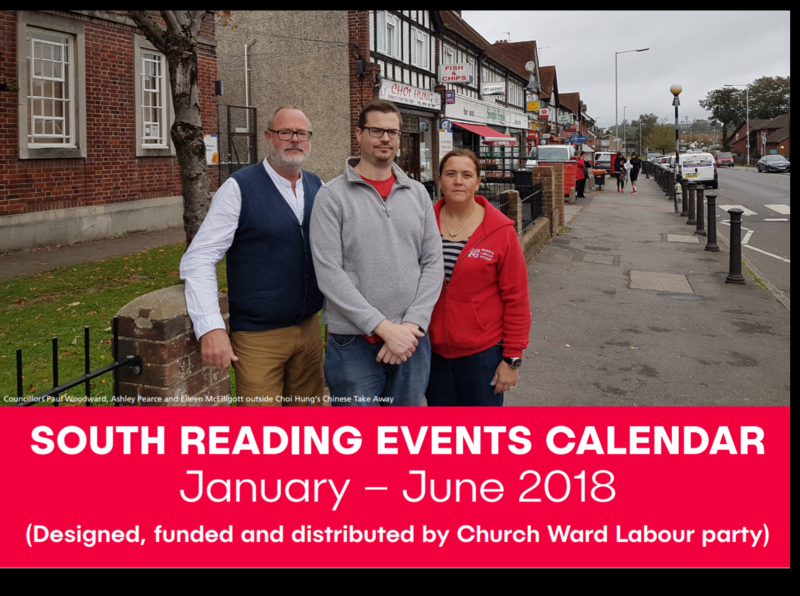 The latest edition of the South Reading events calendar will be delivered to thousands of residents in South Reading later this month. The calendar, now into its 3rd year collates events from South Reading into one place. These include schools, arts, football and religious as well as others. 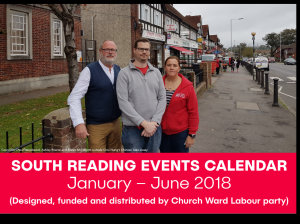 The calendar is funded and delivered by Church Ward Labour party and delivered free of charge to households. This entry was posted in Ward News on December 11, 2017 by Ashley Pearce.